Casa del Moral is a beautiful ancestral house, built around 1730. The house is now converted into a heritage museum which displays paintings from the Cuzco school - a colonial art form. 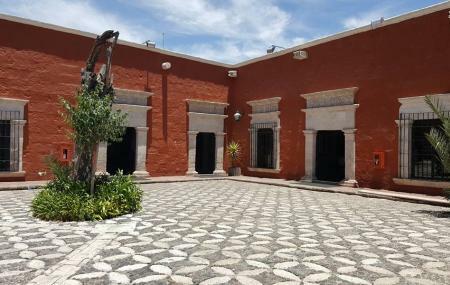 The entrance of the house is characterized by fine carvings, while its name is inspired from the trees of Moras that are in the center of the patio of the ancient house. A picturesque piece of colonial design, Casa del Moral is seen as a favorite attraction of tourists who love architecture. The house is regularly maintained and kept clean. Make a stop at this place during your active vacation in Peru to live the colonial life of Arequipa. Love this? Explore the entire list of places to visit in Arequipa before you plan your trip. Fancy a good night's sleep after a tiring day? Check out where to stay in Arequipa and book an accommodation of your choice.